Carrots are a great root vegetable with a lot of nutrients! They make a great side to any dish and go well in stews and soups. 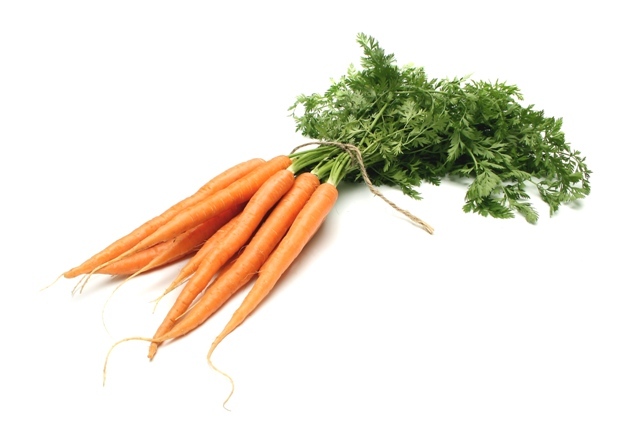 When buying carrots we want to look for carrots with a nice orange color that are smooth and have a straight form. If possible we should buy carrots with the greens still attached, these are usually the freshest and will keep and taste better. Look for non wilted greens that look fresh. Carrots store very well in the refrigerator and they should be kept there for long term use. In fact, carrots stored properly in the refrigerator can last up to 3 months! First we need to cut off the greens as they can cause the carrots to rot faster. Then we should dry them prior to placing them in the refrigerator. After they have been dried we should put them down on a layer of absorbent paper towels. The paper towels will collect the moisture the carrots give off and keep them from rotting. We should check the paper towels every few days to make sure its not to damp, if it is simply replace it with a new fresh one. Tip: We like Bounty Paper Towels to store our carrots on. We find they collect the most moisture and keep the carrots fresh! Store On The Counter: Carrots stored on the counter wind up going soft and limp. Store Near Bananas and Apples: The ethylene gas can make the carrots very bitter. Leave The Greens On: We should always store carrots with the greens cut off. They will pull nutrients from the carrots as they are stored.